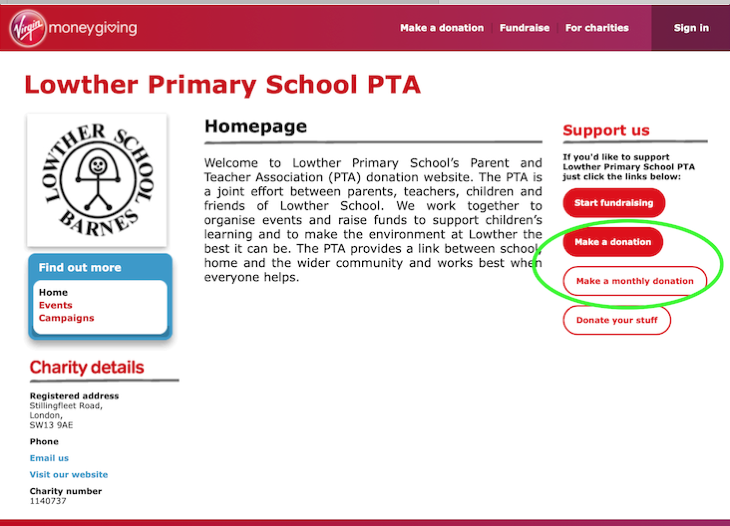 Lowther Primary School PTA is registered with Virgin Money Giving to make it easy for all parents, teachers, friends, local businesses and supporters all over the world to make donations to the school. The PTA is also a registered Charity. 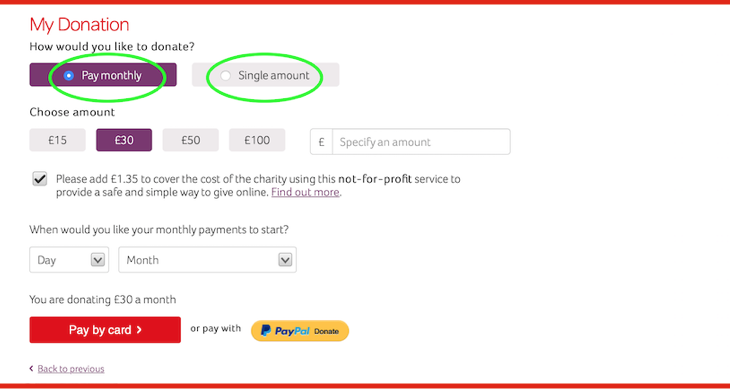 Here's how to make either a one-off donation or to make a regular monthly donation. You can choose any amount to donate. The minimum is £1. It's quick and easy to do and we'd love families to sign up to contribute however much they can manage. 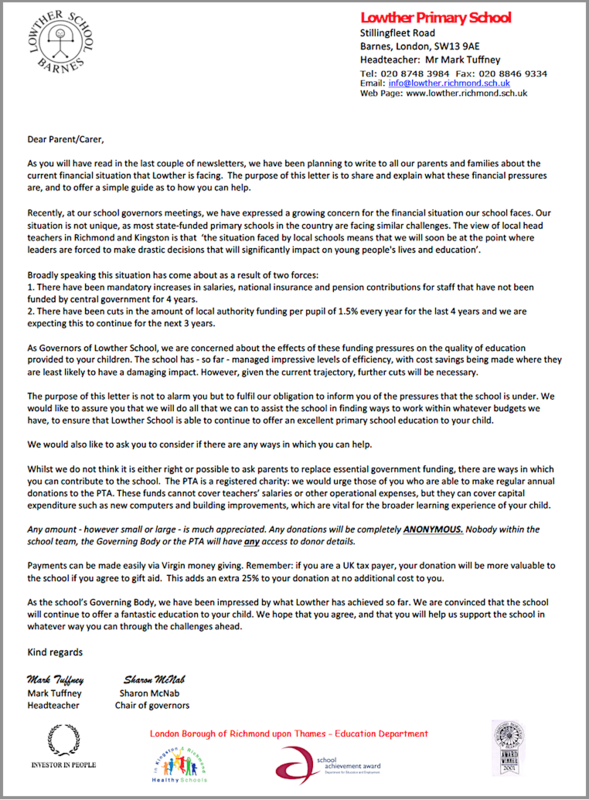 First visit: https://uk.virginmoneygiving.com/charity-web/charity/finalCharityHomepage.action?charityId=1008481 (This is the homepage for Lowther's Virgin Money Giving account). Choose to donate either a one-off payment or a monthly donation. Select the amount you would like to give and which date you would like the amount to be debited from your bank account. You can enter any amount in the free form box or select one of the options from £15 - £100 per month. Step 2 of 5 - Add in a few more details. Step 3 of 5 - Agree to Gift Aid. IMPORTANT - Please do tick the box for Gift Aid if you are eligible. This makes a HUGE difference to the school, generating an extra 25p for every £1 you donate. Step 4 of 5 - Review your donation. Step 5 of 5 - Pay with card. Enter your sort code and bank details for the account you wish the funds to be debited from on the date you have selected. Many thanks for supporting the Lowther School Family. Easyfundraising is a shopping directory listing some of your favourite online stores including Amazon, Argos, Next, Debenhams, John Lewis, Toys R Us, HMV and over 2000 others. Just use the links on the easyfundraising site whenever you shop online and, at no extra cost to you, we'll receive a free donation of up to 15% from every purchase you make. It really is that simple! If you shop online anyway then why not raise valuable extra funds for us by using this fantastic scheme. All you need to do is visit http://www.easyfundraising.org.uk/lowthersch and when you register, select 'Lowther Primary School PTA - Barnes' as the organisation you wish to support. Search the web and raise even more funds! You can also raise funds when you search the web with easysearch, a search engine with a difference! What’s more, easysearch is a 'super' search engine that combines the strengths of several search providers together - Bing, Yahoo! and many more. Easysearch tracks down the most relevant and accurate results from across the web, which means you’ll find what you’re looking for quickly and easily every time - all in one very ‘easy’ search. and please remember to use it every time you search the web.